You are here: Home / News / Latest / Geldof contributes to the biggest malting plant in the world! Active in a wide variety of sectors and industries, our team has shown the flexibility and all-round knowledge in many different projects. 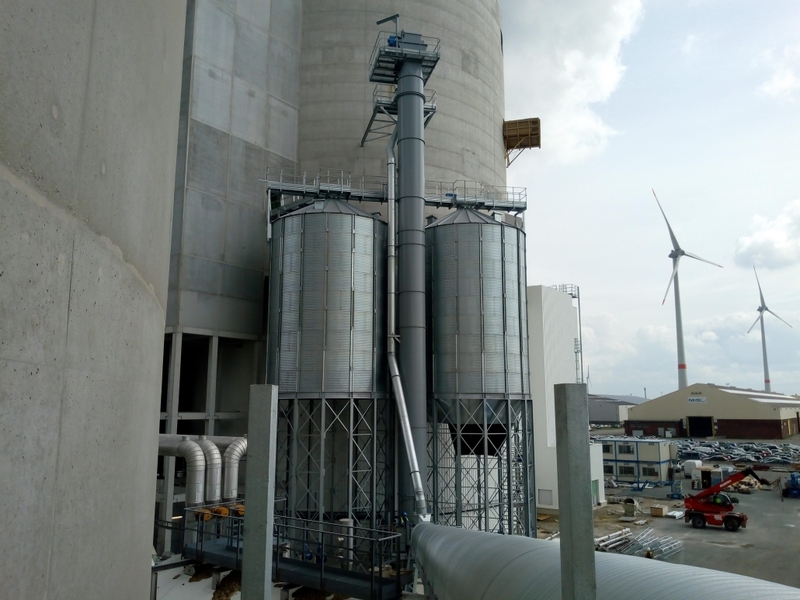 One of the industries in which we are currently thriving is the food industry, as shows this project at a malting plant in the port of Antwerp. Last year, Geldof was rewarded with a turnkey handling project to assist Boortmalt in its goal of becoming the biggest malting plant in the world. The project includes the construction of two silos and diverse transport systems at a capacity of 200t/h. The belt conveyors and bucket elevators that are part of the latter are extremely large for this type of installation. Timing is one of the mayor focus points in all of the projects we execute. Thanks to our detailed and closely followed planning, we can proudly mention that the longest conveyor belt was replaced right on schedule in less than one workweek. The installation is now finished and tested successfully. We also would like to thank ‘Masters of malt’ for the confidence they have put in us for this exiting project.